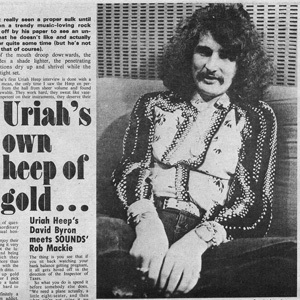 URIAH HEEP — just the mention of their name evokes strong reactions amongst those involved with the rock and roll industry. The original Uriah Heep was a character from Charles Dickens’ novel “David Copperfield”. The Uriah Heep we have here emerged from humble beginnings in the early 70’s, and went on to become one of the most influential and successful bands in the history of hard rock. 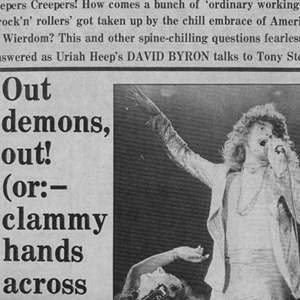 They were slated by the press regularly — although even the most biased rock writer was obliged to acknowledge their popularity (Heep shifted in excess of 30 million albums in the 70’s alone). Bands as diverse as Iron Maiden and Queen have cited Heep as having been highly influental in their own development. Indeed it’s hard to imagine how the latter’s vocal harmonies could not have been based on those of Uriah Heep. The CD you are holding is a collection of material from the band’s formative years recorded while under the management and direction of Paul Newton Snr. and Gerry Bron. It traces the transition of SPICE, the four-piece band whom Gerry Bron signed to his Hit Records Productions company in 1969, as they developed into Uriah Heep. 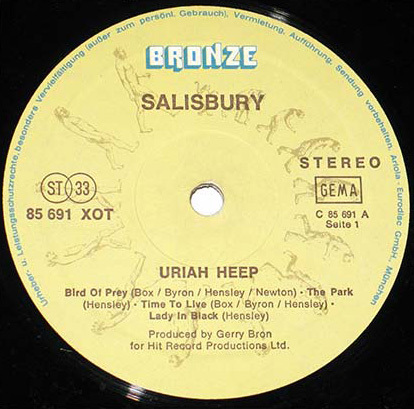 Most of the Spice tracks were recorded just prior to or during sessions for “Very ‘Eavy, Very ‘Umble”, which was to become Uriah Heep’s debut album. The remainder come from the “Salisbury” and “Look At Yourself” sessions. All of these tracks were originally recorded on four and eight track tape at Lansdowne Studios near Holland Park in London. Spice emerged from a semi-pro Essex based r’n b group, THE STALKERS, formed originally in 1965 as the beat boom swept Britain. Playing covers, they worked for two years doing local shows and clubs, and while many of the members who came and went as the months passed are now forgotten, original member Mick Box recalls the drummer as one Roger Pendleton, and also that at Pendleton’s suggestion, their original singer was eventually replaced by a wavy haired youth called David Garrick (Pendleton’s cousin in fact) — who later changed his name to David Byron. Box had begun playing guitar when he was 14, and for a time he and a friend backed two girl singers, before forming The Stalkers. Byron had been singing since the age of eight, entertaining family and friends at local social functions. Box and Byron worked well together, and began to write original material as well. During 1967 they decided to turn professional. The others felt it was too risky and the group split. After a while contemplating what to do, Box and Byron formed Spice together. An early line-up of Spice also included drummer Nigel Pegram and bassist Barry Green (who later went on to chart fame in the seventies as pop singer Barry Blue). Green was replaced during early ’68 by another bassist (remembered today only as Alf!) who in turn was ousted in favour of Paul Newton in mid 1968. Newton had been playing bass since he was 14, working alongside Brian ‘Blinky’ Davison at one time, before the latter went off to join The Nice. Newton’s recruitment coincided with a studio booking, where Spice laid down a single for United Artists, the highly collectable ‘What About The Music” / “ln Love” (UA UP 2246). Indeed Newton only played on the b-side, as he arrived mid-way during the session. The band supposedly taped other demos during these early days but they were never developed into finished releases. Spice were beginning to make a name for themselves on the London circuit, playing pubs and colleges and building a good following. In early 1969 they landed a prestigious weekly residency at The Marquee club in London, playing every Saturday night, and around this time drummer Alex Napier was recruited. 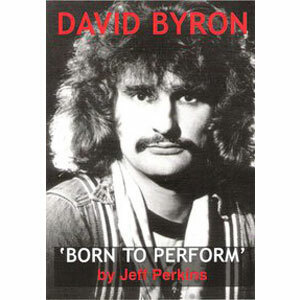 (Pegram having left went on to record for bands as diverse as Steeleye Span and The Barron Knights). By now the rhythm and blues of The Stalkers days was long gone; Spice were moving more towards hard rock, though their playing was also laced with jazzy influences, which — when venues allowed — led to longer on-stage numbers. At other times, they would keep pub landlords happy with a few cover versions. A now fading publicity sheet explains that “the group’s material on stage is 60% commercial and 40% original” adding that “there are usually several events during the evening that are well worth waiting for!” The band’s earnings were supplemented to some extent when Box and Byron took on session work for Avenue Records, recording covers of top 30 singles to be shoved out on the “six hits for 4/11d” EPs which were so much a feature of the time. Spice also recorded several demo’s under the name THE PLAY, although these have since been lost. Though this hard work was impressive, what they really needed was some professional help to put their career onto the next rung of the ladder. Their break came one night after an impressive set at The Blues Loft in High Wycombe. As well as the usual crowd of fans and onlookers, one Gerry Bron happened to visit the club, and was impressed by what he saw. Backstage he approached them for a chat, and offered the band studio time, initially just to see if the power of their live performance would transfer to a studio environment. He had spotted the potential at once: two potentially strong frontmen in the shape of Box and Byron, plus a raft of excellent well rehearsed material. It had to be worth investigating. The initial sessions showed that it was clearly going to work, and Spice were duly signed to the Bron Organisation. 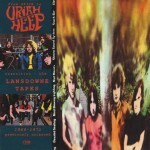 Under this new set-up recording sessions took place at Lansdowne studios during July 1969, and they were to return to the studio in September and December. Six tracks from these sessions are included on this CD for the first time, and illustrate the band’s development. At Gerry Bron’s suggestion, it was decided to widen the Spice sound by adding keyboards to the studio tracks. Colin Wood was brought along in a session capacity, adding organ, piano and/or mellotron to the material. 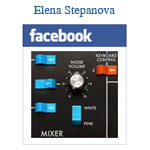 This worked so well that it was decided to look for a full time keyboard player. Paul Newton suggested Ken Hensley, a player he’d worked with in a group called THE GODS. The Gods are a band whose name is indelibly etched into the roots of the Uriah Heep family tree. They’d been formed back in 1965 by Ken Hensley and the precociously gifted Mick Taylor, and lasted until June 1967 when they decided to call it a day due to lack of work. Taylor snuck off to join John Mayall (and later of course, The Stones), while Hensley, who was living in a van at the time, was lost for something to do until he met bassist Paul Newton. Newton’s dad had a little spare cash, and The Gods were speedily resurrected in late 67. This line-up included, at one time or another, Lee Kerslake (who joined Uriah Heep after their third album), Greg Lake, a founder member of King Crimson (later to hit the big time with ELP), and John Glasscock who had a successful career with Jethro Tull. In the summer of 1968, Newton left to join Spice. Hensley stayed with The Gods until they split in February 1969, whereupon he temporarily forsook the organ, replacing former Pirate Mick Green on guitar in the Cliff Bennett Band, just as the latter were evolving into the enigmatically named Toe Fat. Hensley also participated in a few dubious recording efforts around this time, two of which — “Head Machine” and “Weed” — can command silly money from ardent Uriah Heep collectors on the few occasions they come onto the market. Toe Fat had just finished a largely Hensley written album when Newton got in touch and offered him the job with Spice. It was Christmas 1969. With Hensley in place, it was decided to go for a change of name — the impetus, and the actual name Uriah Heep, seeming to stem from Bron again. The tracks done with Spice were shelved, and the album was finished with Hensley. With the addition of Ken Hensley into the Spice/Uriah Heep arena, the band quickly developed their definitive sound, based on vocal harmonies and a driving Vanilla Fudge influenced guitar/keyboard combination. It was the adaptation and refinement of this sound, along with the added dimenslon of Hensley’s composlng skills, that took the band to the top in the mid-seventies. Nonetheless it was still far from plain sailing, as they proceeded to go through no less than four drummers during their first year of trading. Alex Napier actually quit after recording just two tracks of the first Uriah Heep album, and was replaced by Nigel “Ollie” Olsson. It was this line-up which finished the “Very ‘Eavy, Very ‘Umble” album, issued on the new Philips offshoot Vertigo Records (prices 42s 6d!) in June 1970. Olsson left to join Elton John’s band just prior to the taping of Heep’s second album “Salisbury”, and was replaced by Keith Baker from Bakerloo (he’d also been Supertramp’s first drummer). 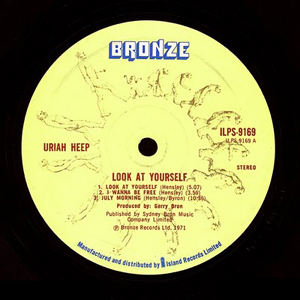 He lasted until October, and was in turn replaced by Ian Clarke from fellow Vertigo artists Cressida for Heep’s third album “Look At Yourself”. Because of contractural problems Clarke’s contributions went uncredited at the time — we can at last rectify this!